List of Editors and Contributors. 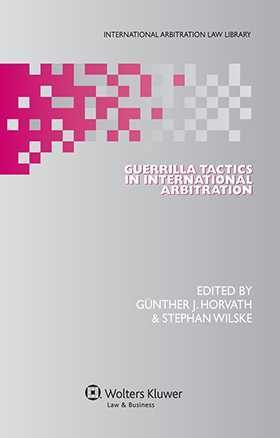 Chapter 1 Introduction to Guerrilla Tactics in International Arbitration. Chapter 2 Dealing with Guerrilla Tactics at Different Stages of an Arbitration. Chapter 3 Guerrilla Tactics in National and International Litigation. Chapter 4 The Influence of International Institutions. Chapter 5 Guerrilla Tactics and Ethical Regulation. Chapter 6 Conclusion and Outlook. APPENDIX I IBA International Principles on Conduct for the Legal Profession. APPENDIX II The Hague Principles on Ethical Standards for Counsel Appearing before International Courts and Tribunals. APPENDIX III Union Internationale Des Avocats - Turin Principles of Professional Conduct for the Legal Profession. APPENDIX IV IBA Guidelines on Party Representation in International Arbitration. APPENDIX V New York Rules of Professional Conduct.